30 candidates have been named to the watchlist for the 2018 Senior CLASS Awards. Unlike the All-American awards, which focus on on-court play, the Senior CLASS awards focus on what they call “the four Cs”: community, classroom, character and competition. The organization gives out awards in 10 NCAA sports: men’s and women’s basketball, baseball, football, men’s hockey, men’s lacrosse, men’s and women’s soccer, women’s softball, and women’s volleyball. To be eligible for the award, a player must be in their senior year of NCAA eligibility. The list will be whittled to 10 mid-season and placed on an official ballot, where media, coaches, and fans will vote for the winner. The winner will be announced during the 2018 NCAA Division I Women’s Volleyball Championship in December in Pittsburgh. In a twist-of-fate, no members of the 2017 VolleyMob First or Second-Team All-America rosters were juniors last season, meaning that none of them are seniors this season (the same is true for the expanded AVCA First-Team All-American list). 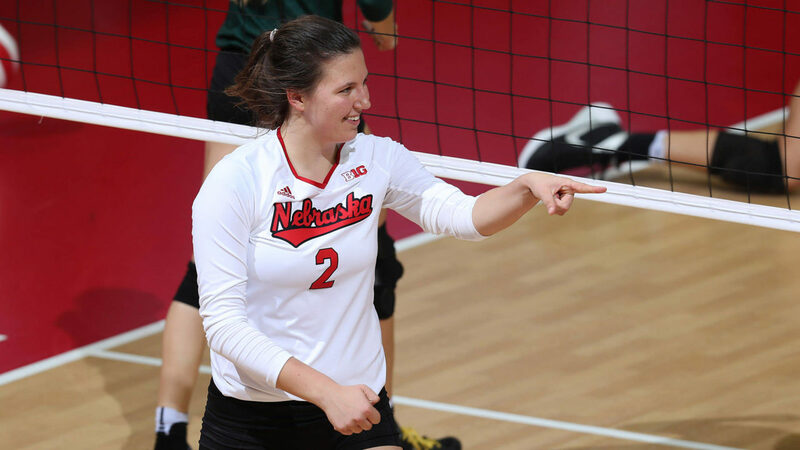 Included on the list, though, are VolleyMob Third-Team All-Americans Mikaela Foecke of Nebraska, Ali Bastianelli of Illinois, and Samantha Seliger-Swenson of Minnesota. In addition, AVCA Second Team All-American Alexa Smith, AVCA Third-Team All-American Carly Skjodt; and AVCA Third-Team All-American Jordyn Pulter made the 2018 watchlist. Illinois (Bastianelli, Poulter) and Creighton (Taryn Kloth, Jaali Winters) each put two players on the team.